The hotel is well equipped for everyone from the single traveller to families with a large dining room, an indoor swimming pool, a car park and evening entertainment from May to September. There is free WiFi throughout the hotel. The accommodation is arranged around what used to be a manor house giving the place a traditional homely feel. 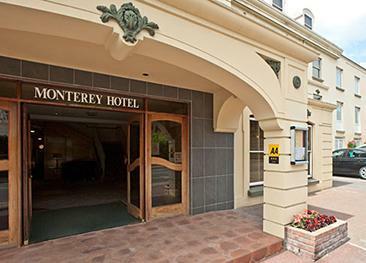 The hotel features twin, double and family rooms, as well as 21 single rooms. The “Lodge” is a separate building which can accommodate up to 20 adults. The main restaurant is open for a buffet breakfast and for evening meals with a daily changing table d’hôte menu. Fresh local food is always on the menu. The bar is open between 12 and 9pm and offers an all-day menu. Although disabled access is possible it is not ideal for the disabled traveller as it is set in a traditional building and therefore has many steps and corridors in all areas. 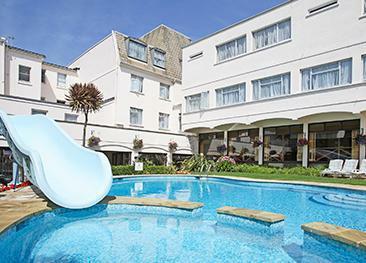 The Norfolk Lodge hotel is on the northern edge of St Helier, a perfect location from which to explore the island. A short walk is all it takes to reach the town centre’s shops and restaurants. A bus stop is located just by the hotel’s front door. Brill comfy hotel. Staff made the experience stress free and I would go back there. The hotel has many stairs and not very clear routes to amenities. It would be helpful to less able walkers to be aware of this. The staff at this hotel were very helpful and friendly. Flight from Norwich was fraught, airport pickup was good, hotel was a little rough around the edges, more attention to detail around the property.